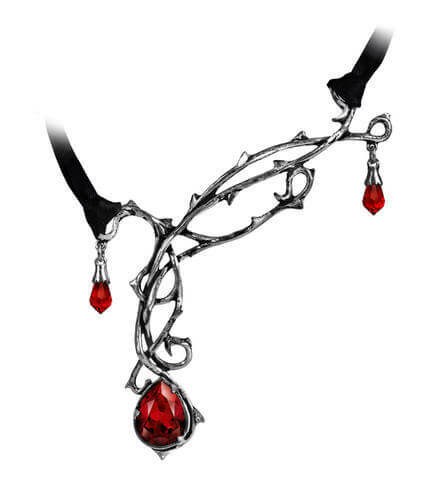 A twisting knot of sacred thorns, weeping tears of blood-red Swarovski crystal. Imported from the UK. 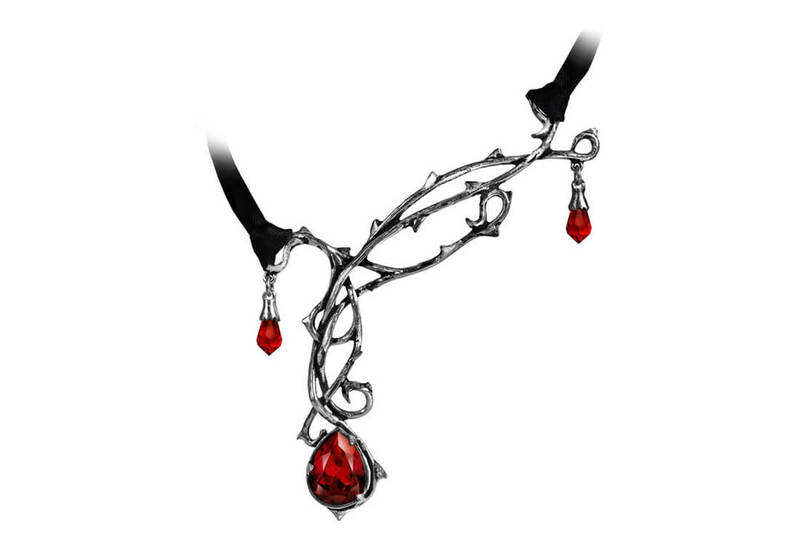 Measures approximately 3.19 inches wide, 3.86 inches high, 0.35 inches deep with a 22 inch ribbon.